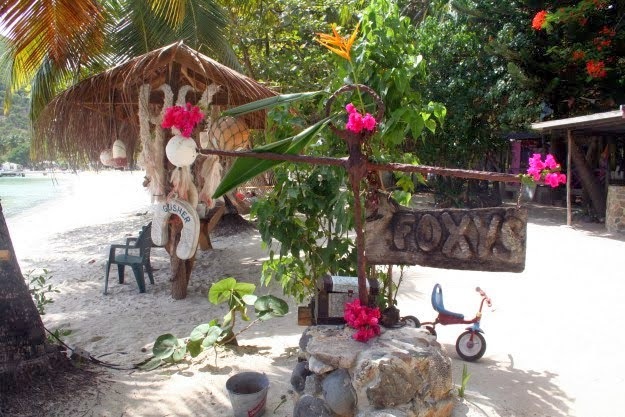 EVEN the most-seasoned travellers could be forgiven for 'fessing-up that they're not quite sure where to find the island of Jost van Dyke – one of the best kept little secrets in the Caribbean. Because 400 years after the Dutch pirate was plundering ships in the Caribbean, this little speck in the British Virgin Islands that's named after him, and is just 14 square kms in size, is home to fewer than 300 residents and still accessible only by sea. And while he had a home and some minor fortifications on the island, with a motley assortment of fellow Dutch, French and British pirates, Jost van Dyke also grew tobacco and cotton between pirating duties. It was another century after he moved on before his island would next be settled, this time by Quakers who started sugar cane plantations, and despite their public campaigning against slavery, worked these plantations with – you've got it, slave labour. But when slavery was abolished in 1830, the Quakers' quickly went belly-up, the island virtually hibernated for 100 years, and the population dwindled to around just 100. 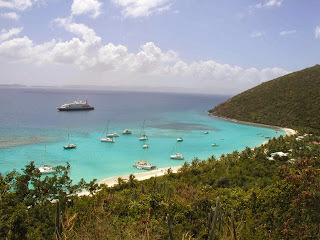 Towards the middle of the last century tourists, however – mainly cruising yachties – started to take notice of little Jost van Dyke, and the population began slowly rebuilding in response to the demand for facilities to cater for these visitors. Today it's Party Central amongst those in the know, and while there are no facilities for larger cruise ships, visits by the more boutique SeaDream Yacht Club, Windstar Cruises, Star Clippers and Paul Gaugin Cruises, coupled with inter-island ferries and visiting yachts, can see the locals easily outnumbered on any one day by visitors. And little wonder: here the beach sands are soft as talcum, there are just three quaint village-like settlements, and just one main road, which despite being built in the 1990s, the locals have never quite got around to giving a name to. It's still simply The Road. Another oddity in the village of Great Harbour is the Stress Free Bar: here guests pour their own drinks, write their purchases in a pad on the bar – and settle-up at the end of the day. 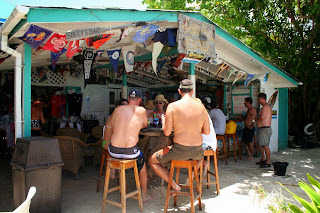 Conversely the smallest bar on the island is called the Soggy Dollar – from the condition of banknotes handed over by sailors who swim ashore from their yachts for a drink and a meal. To dry them, staff peg the soggy dollars to a clothesline out the back in the sun. And no, no one's pinched one yet. The Soggy Dollar Bar also has its own House Cocktail called Painkiller, a potent mix of dark rum, pineapple and orange juice, and a splash of coconut cream. 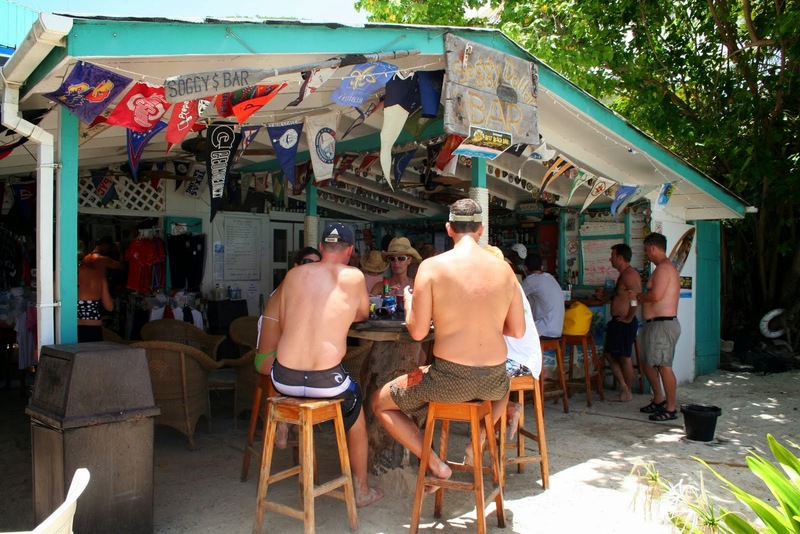 Like the rest of the island, the Soggy Dollar Bar is all very laid back. As a barman tells us: "No one's in a hurry to get anywhere. The fastest living things on the island are the goats, and even they aren't in a hurry." 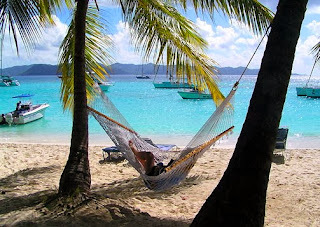 And a visiting yachtie adds: "Live by the adage of the Caribbean – how beautiful it is to do nothing all day, and then rest up afterwards." Her shores will always be home to me. And don't expect high-rise hotels, casinos or even big marketplaces on this Island in the Sun. It didn't even get electricity until the 1990s. 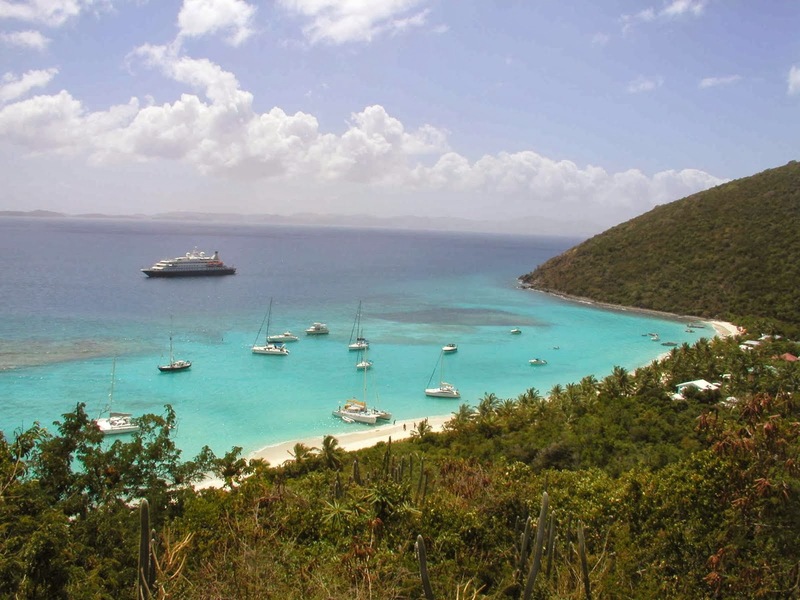 There are ferry services from the larger St John and St Thomas Islands in the US Virgin Islands, and your local travel agent can tell you how to join those boutique ships or tall-masters that sail the Caribbean and Jost van Dyke seasonally.